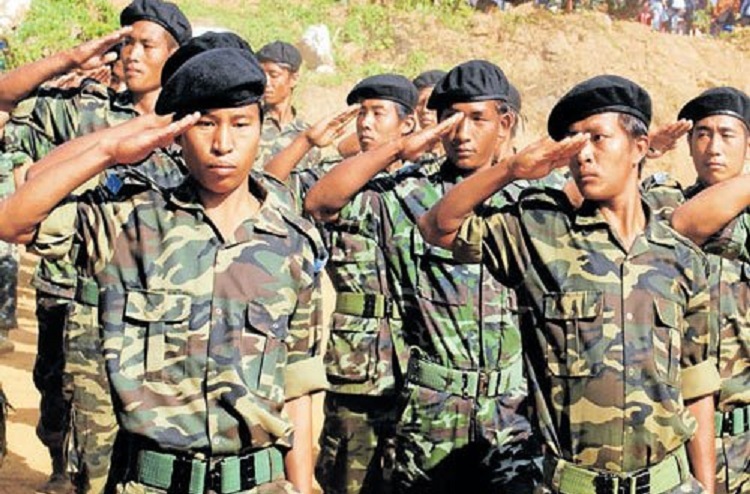 The National Socialist Council of Nagaland‘s Khaplang (NSCN-K) faction has demanded release of their leaders by the Myanmar government to be able to carry out peace talks. “We will struggle to keep up peace talks with the Myanmar military if it does not release our leaders and fighters, some of whom are in our negotiating team,” said the group’s liasion officer Juvlengthong. He said the Myanmar military arrested 10 leaders and six fighters including captains leading squads in March after taking over the K group’s headquarters at Taga in Sagaing province in February in a bloodless operation. Later five of the leaders were released but five others remain in Burmese custody. Those released include the group’s health kilonser (minister) Eno Ngaitum, education kilonser Eno Manglwan, legal affairs kilonser Eno Athrom, agriculture kilonser Eno Longsa and a central committee member Eno Tomthong. But Juvlengthong said the chairman of the group’s peace team U An Kam and its vice chairman U Kyaw Wan Sein are still behind bars, charged under Unlawful Association’s Act, along with two other leaders and six fighters. These leaders, still in custody, are likely to be produced in a Burmese court on Apr 19. Juvlengthong said the group has written to the National Peace and Reconciliation Centre headed by state counsellor Aung San Suu Kyi and Burmese army chief Senior General Min Aung Hlaing to intervene for release of the K group leaders . “But we have got no feedback so far,” he said. President’s spokesman U Zaw Htay has said the charges against the K group leaders were being reviewed. The Burmese military Tatmadaw accused them of providing shelter to insurgents from Northeast India who were involved in violence against the neighbouring country. The Tatmadaw arrested 36 people, mostly local Nagas known to be close to the K group or other Indian rebel groups, and also imposed severe restrictions on movement in the Naga self administered area of Sagaing. The Burmese military also attacked an ULFA base and killed a ‘Major’ Jyotirmoy Asom and three fighters. Since then there has been a spate of surrenders from the ranks of the ULFA.